Venison cooked right will taste exactly like beef, at least it does to me. My husband Nemo, bagged this deer in the New York woods in Rome New York in the fall of 2015. 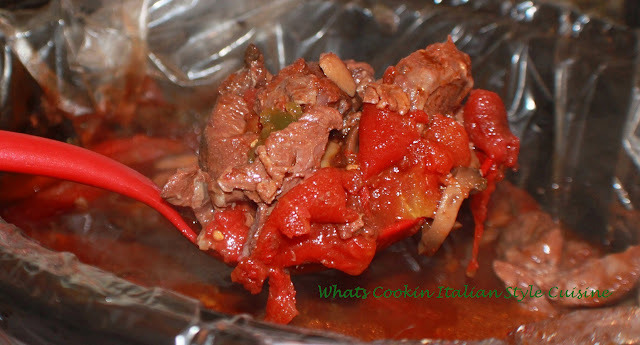 I have had a ball making my venison Italian style all winter long all different ways. Here is just one more that will be a keeper for us. This cacciatore came out delicious. The meat so tender it didn't need to hardly be chewed. These are the kinds of meals I love to come home to after a long hard day at work. Comfort food at it finest right here. Combine all ingredients in your slow cooker. Place on high for 8 hours if placing on low around 12 hours. The venison will melt in your mouth tender. The longer you cook it the better. 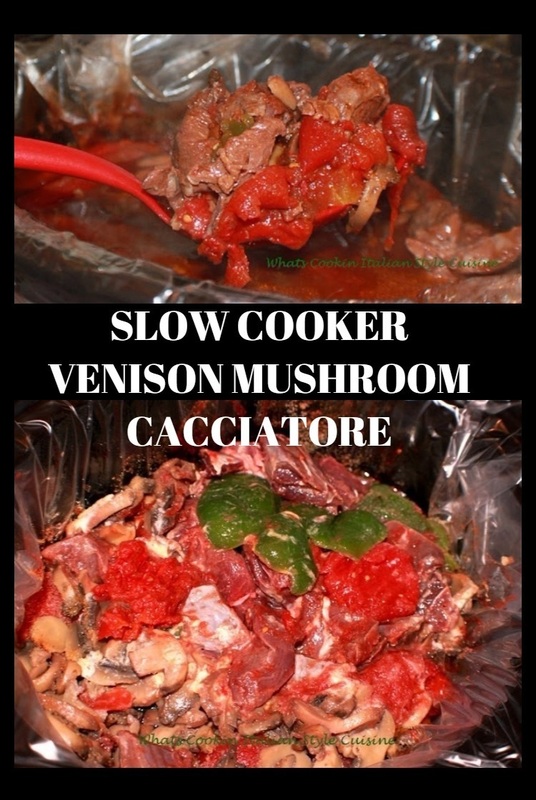 We serve this over rice or pasta of course it awesome just plain with hot crusty bread and butter but for a large amount of people I always serve it with a side dish of rice or pasta. 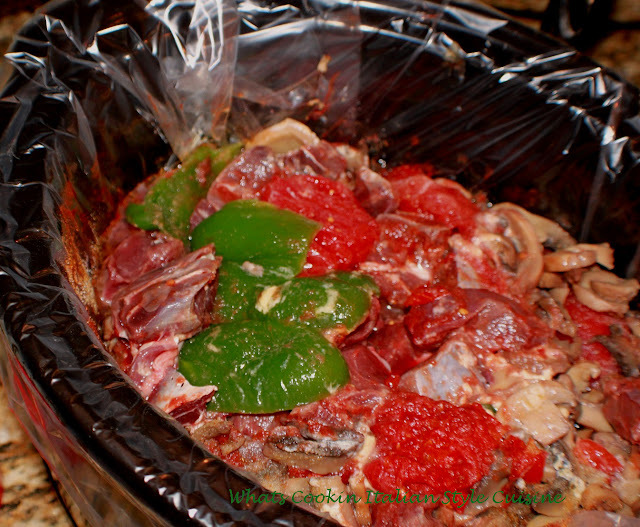 I love Venisson and your slow cooker recipe sounds awesome! Claudia totally jealous, I love venison yours is killing me!!! My mom made a similar recipe. She included a red wine. Soo good! I am not a huge venison eater - but Paul is. It's nice to see something that is not venison brats. 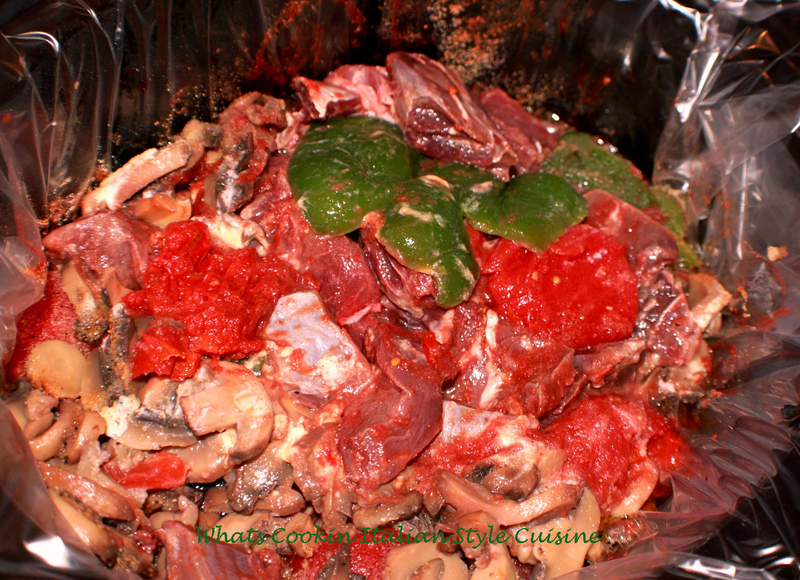 This looks similar to a venison hunter's stew my mother used to make. Very comforting!